Here’s a social-problem film, much like the same year’s “Cry of the Children.” Like it, “The Land Beyond the Sunset” also deals with the rights of children. However, “Land” progresses to an ineffable, baffling, and disheartening “artistic” conclusion. This film was produced to benefit the Fresh Air Fund, a worthy cause inaugurated in 1877 and still in existence in New York. Its simple aim is to get low-children children out of the city and into the natural world at no charge. 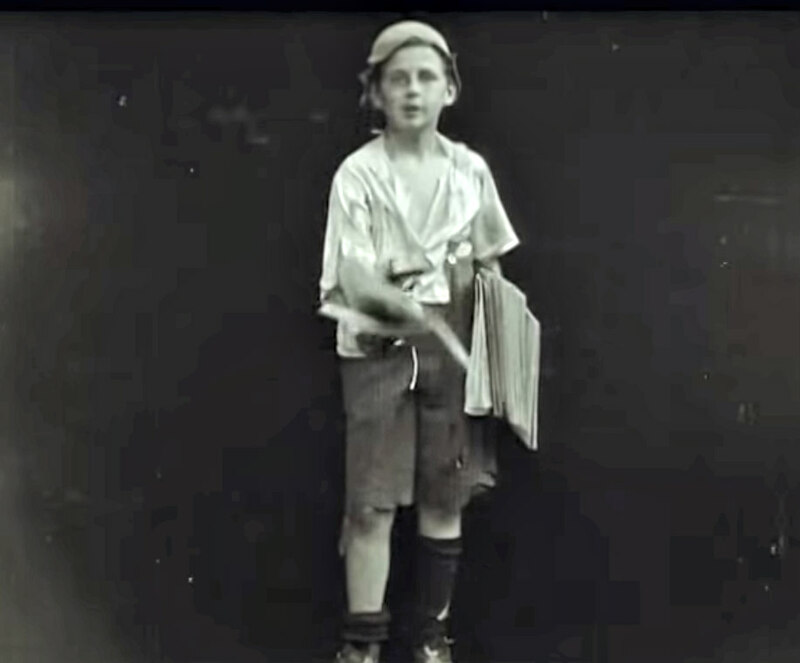 At the time this film was made, a huge push was on to end child labor, enforce child welfare statutes, and increase educational opportunities. Society was beginning to see past thinking of children as adults in training, economic assets, or the precocious votive figures at the center of the Victorian cult of childhood. Children were newly human, with needs, feelings, and rights. Joe lives in a trash-strewn hovel with his alcoholic, abusive grandmother. 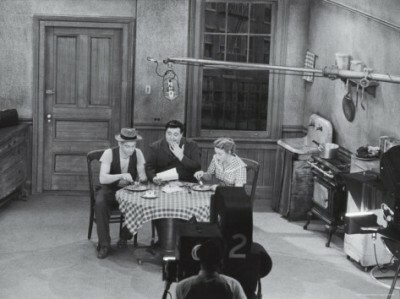 (Oddly, the set looks almost exactly like the Kramden apartment in “The Honeymooners.”) After peddling his papers somewhere else, he returns with a mere pittance each evening. Grandma cuffs him roundly, steals his meager earnings, and spends the dough on gin. The film does capture the contrast between city and country. 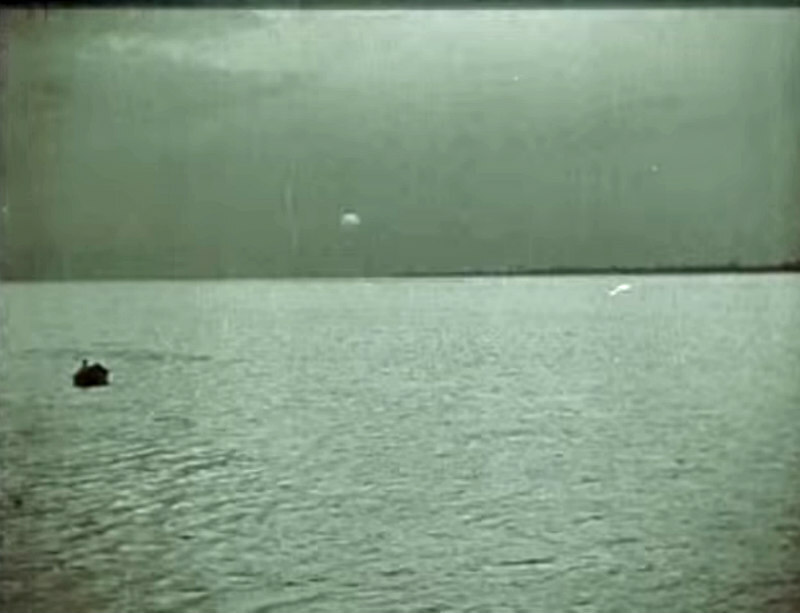 ‘His first sight of the world beyond the slums,’ the title card says. Joe gets fresh air, good food, fun and games, and a bit of prayer. Most significantly, no one seems to want to hurt him. The committee woman who watches over him encircles him with her arm. She reads the children fairy tales, and we leap into a dream sequence in which Joe is a prince, his grandmother a witch, and the committee women fairies. Summoned via stop-motion, they drive the witch away, and lead the prince to a magic boat (‘he needed no oars’) that takes him to the Land Beyond the Sunset. Now it gets weird. A more positivist, practical kind of filmmaker might have ended it there. Fresh Air fund aids needy kids, who get to breathe free and have fun. Hooray! The End. But -- coming out of the story’s spell, Joe sees his grandmother knocking him down, over his head as a ghostly double exposure. Holding on to the fairy book, Joe gives the others the slip (all too easily – did they lose a lot of kids this way? ), hangs back, and steps toward the beach. There he finds a boat, conveniently with no oars. He climbs in, pushes off and, book clutched to his chest, he drifts out to – the Land Beyond the Sunset? Certain death? Both? Was this better than going back to Grandma? Is Joe two papers shy of a full bundle? It seems to be an aesthetic miscue today, but the idea of the dying child focusing one's attention, as in Andersen’s “Little Match Girl,” was a tried and tested one. Perhaps the creators thought the ending would burn home the point. The compositions are strong in the outdoor sequences, shooting in nicely modeled perspective to give the frame a feeling of depth. 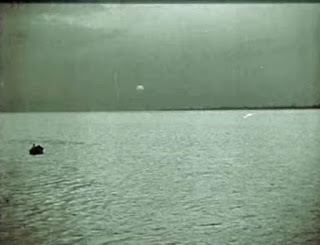 The final sequence, in which Joe bobs out beneath a setting sun, is held for an exceptionally long time. The achievement of getting such definition and beauty from a low-light situation such as this at the time makes me wonder about other work of Harold Shaw. He made 76 films between 1912 and 1924, before dying at 48 two years later.